Louise Condon, a longtime supporter of VNA Care, found her first time as a home health care patient to be very educational. "Now I've experienced for myself why everyone's so happy when staff from VNA Care come to their home," she said. Louise, owner of Louise Condon Realty in Needham, underwent a total knee replacement in 2017. 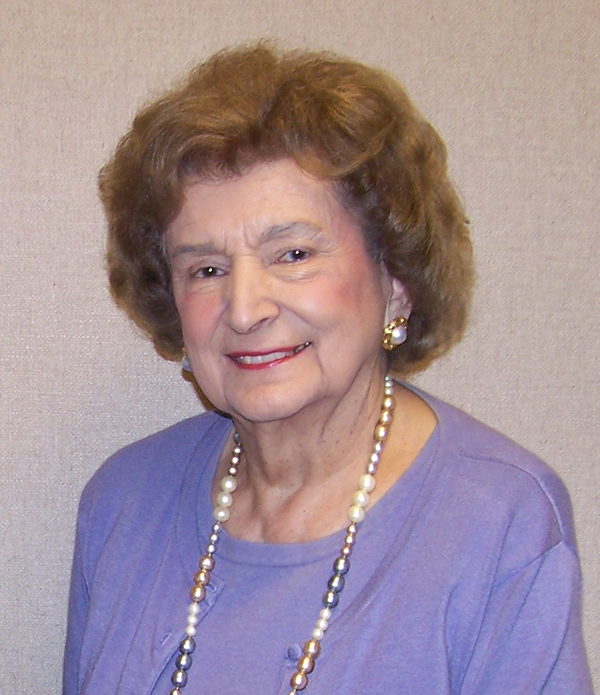 After a brief hospital stay, she went directly home with VNA Care's Total Joint Replacement Program. The program focuses on helping individuals recover safely at home after total knee or hip replacement surgery. The care often allows people to bypass a stay at a rehabilitation facility. The Joint Replacement team includes physical therapists, nurses, and occupational therapists. A personalized care plan, made in consultation with the surgeon, enables patients to get back on their feet and make the transition to outpatient physical therapy. The team monitored Louise's healing, taught her exercises and had her walking around her home, and showed her how to safely take care of everyday activities like making the bed and maneuvering around the kitchen. Clinicians also took time to answer her husband Frank's questions about her health and recovery. While this was Louise's first time as a patient, she's been involved with our nonprofit as a donor, volunteer, and caregiver for more than 20 years. Louise's friendship with Harriett and Stan Tippett, who championed VNA Care's efforts to open a hospice residence in Needham for the terminally ill, inspired her to get involved with fundraising efforts. When Frank had a massive heart attack in 2000, VNA Care Network's home health care team aided his recovery. Louise remembered, "He was very happy with the care, and I was too." Throughout the years, she's seen the impact VNA Care's home health and hospice services have had on the lives of friends and neighbors. Louise, pictured right, became one of the first members of VNA Care's newly formed Needham Area Community Cabinet in 2014 and co-chairs the volunteer group. The Cabinet has raised over $100,000 for home health care, hospice care, and the Stanley R. Tippett Hospice Home. Louise cites shorter hospital stays as one of the many reasons to support VNA Care's mission. She said, "To go home from the hospital and know someone will come and make sure you're okay is wonderful." Louise "graduated" from the Joint Replacement Program in just four weeks. She's back at work selling homes and planning another fundraiser with her fellow volunteers on the Needham Area Community Cabinet.